Last year I created this new website for selling software, thunderbeardesign.com, initially I did all the work of setting up and developing plugins. The site needs a lots of work, and I needed someone to code new features, as I spend more time on running the website then getting time for coding new functionality or fixing existing bugs. So I decided to hire a developer, in this article I’m share the experience of how to hire a developer. most developers comprise usability, if you let them write code and make product design decisions at the same time. For example, a small UI improvement might be a few hours of work. If you’re both designing and developing the same application, you might opt to skip this improvement in order to save yourself time, even though it would result in a better end product. Another reason to hire: A senior WordPress developer with years of experience is going to write better code faster, than what you can do, if you stretching yourself thin. I’m looking for an experienced WordPress plugin developer. 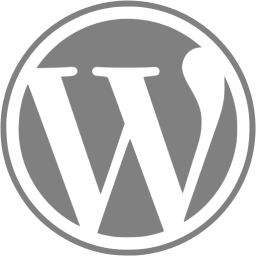 I’ve coded the initial version of the plugin for WordPress myself. Now, I would like someone to take over development. I’m hoping you can take over the majority of current development tasks, so I can focus on what I’m good at (marketing, running my website). This project will be a few hours to start with. If things go well, this project could easily scale to 15–20 hours per week over the next couple of weeks. There might be an opportunity for ongoing engagement as well. Has lots of WP plugin development experience. Bonus points if you’ve written a WP plugin that is hosted on wordpress.org or contributed to the wordpress core. Detail your WordPress development experience. What’s your favorite version control system? What’s your favorite WP plugin? The questions in the ‘How To Apply’ section both helped me screen out applicants that apply without reading my job posting, as well as getting a better understanding of the applicant. I’ve posted this job on Freelancer.com and on Outsourcely , there are out services that may work for you. The goal was to create a shortlist of 2–4 candidates by reviewing all applicants, their past work and code samples. I gave preference to developers with a published plugin in the WordPress repository. Next I’ve set up a test project to compare the quality of work of each developer. To not waste resources, I’ve an internal project that might eventually be useful in promoting Firebase Cloud Messaging plugin. The Firebase Cloud Messaging is a WordPress plugin that I developed, which allows you to take advantage of Firebase Cloud Messaging, to send notifications when a new post is created on a WordPress website. (Not Published yet). And the min-project, was to add support for Android mobile phone registration. I was tempted first to let all of my 4 candidates create separate test projects (so I’d have 4 small WordPress plugins I could publish), but I’m glad I didn’t. Letting all of them work on the same project made it a lot easier to compare the quality of their work. The results were interesting. I had one candidate, that beat all other candidates by a wide margin, both in terms of quality of work and time needed. My best candidate was 6x faster than the other developers and the quality of work was 3x as good. Having multiple candidates do test projects will be an absolute must for all my future hires. The test project was also a success in terms of product development. Hiring a great developer is easier than you think. Even if you are a technical person it might make sense to hire development help. Your product quality and your marketing is going to make or break your business, not your code. But what if I don’t know how to code? Hiring developers is a bit easier if you have prior development experience. However, this process will still work for non-technical people. With a test project you’ll still be able to determine if your candidate followed your instructions and if the code works. What about you? Have you hired developers in the past? What has worked for you (and what has not)? Let me know in the comments below. For additional read The Exact Steps I Use to Hire Amazing Quality Remote Workers for as Little as $1000 per Month.